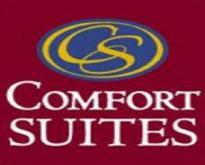 Welcome to the Comfort Suites Southington - Cheshire where your comfort is our priority! We work hard to make sure your employees, clients, team and family enjoy their home away from home when visiting the Hartford, Waterbury & Farmington area and our amazing service is what sets our Gold Award Winning hotel apart from the competition. Our 744 sq foot Mountain Laurel Room is perfect for business meetings and intimate social events alike. Looking for a space just for a casual business endeavor? We've got you covered! Our Mountain Laurel Room can be split in half, offering the perfect space to conduct board meetings, break out lunches, and much more all with complimentary WiFi! We offer you a hotel designed to meet the demands of all types of travelers and ensure your meeting plans are in good hands with us! We look forward to sharing our special brand of hospitality with you and your guests!